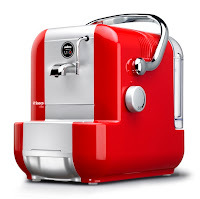 My review of the rather excellent Lavazza coffee machine is now live on Pocket-lint. For £119 you'll be hard pushed to find a better value more impressive worktop pleaser. The espresso is seriously good, the machine's compact enough not to get in the way and frothing milk is surprisingly easy.